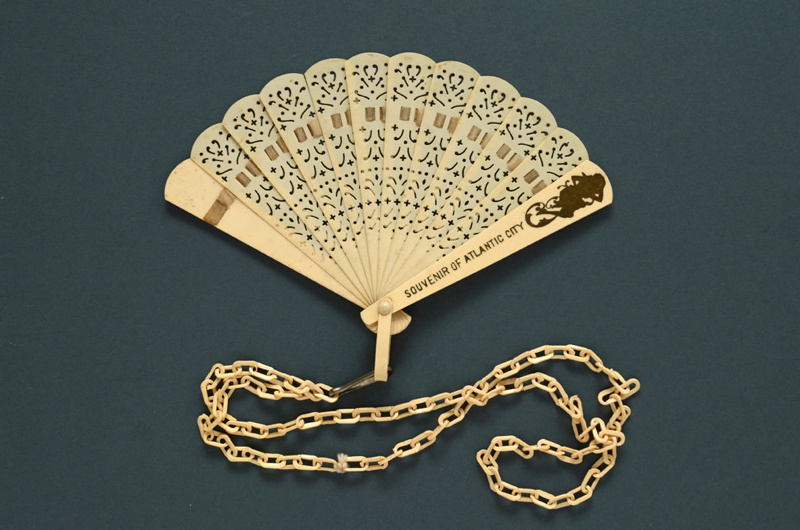 Miniature imitation ivory brisé celluloid fan with a 'punched out' pattern on the sticks. The guards display a silhouette of a girl, inscribed 'Souvenir of Atlantic City'. 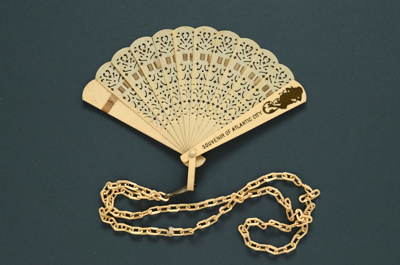 This fan is also furnished with a matching celluloid chain, most likely because it was intended to be worn as a necklace.